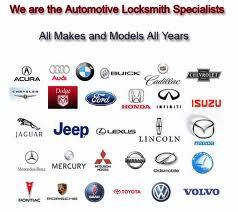 When searching for automotive locksmith services in your area, it is wise to look for a company like AKM Auto Key Masters that offers service 24 hours, of professional ,local and reliable locksmith services. This way, you can rest assured that you will always be able to receive the assistance that you need no matter whether it is day or night. Even on holidays, you should be able to rely on your locksmith company. Reading reviews of any automotive locksmith before you decide to choose that particular company is also wise there for we are inviting you to visit our facebook page for reviews. This will help you to ensure that the company is licensed,well-trusted and generally well-reviewed, giving you the additional confidence and peace of mind that you need when you are locked out of your car or in need of a new car key it comes to making that phone call for assistance. Proudly servicing: Charlotte NC METRO AREA, Rock Hill/Fort Mill and Surrounding Areas.